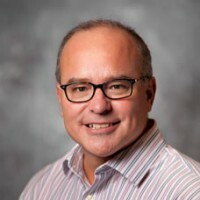 Dr. James Bryan Smith is the founder and Executive Director of the Apprentice Institute for Christian Spiritual Formation, as well as a founding member of Richard J. Foster’s spiritual renewal ministry, Renovaré. He is an ordained United Methodist Church minister and speaks throughout the United States and beyond about Christian spiritual formation. In the fall of 2016, Dr. Smith was part of the Friends University team that developed a master’s degree program in Christian spiritual formation and leadership. He is the author of the best-selling “The Good and Beautiful” book series and “The Magnificent” series. To email this Friends employee, please fill out the form.